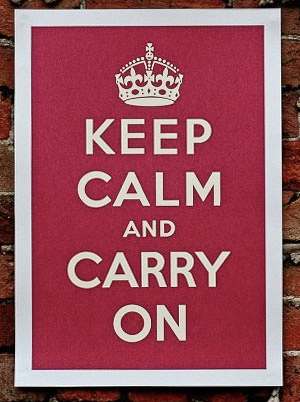 The 'Keep Calm and Carry on' poster was produced by the British Ministry of Information, at the beginning of the Second World War. It was intended to be distributed in order to strengthen morale in the event of a wartime disaster. Over 2,500,000 copies were printed, although the poster was distributed only in limited numbers, and never saw public display. 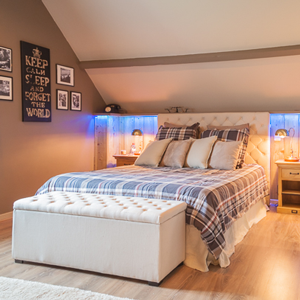 A large room with queen-sized bed and a sofa bed, overlooking the orchard. The room has an en-suite shower room. Please click here for more information and photos of the Sir Winston Churchill Room. 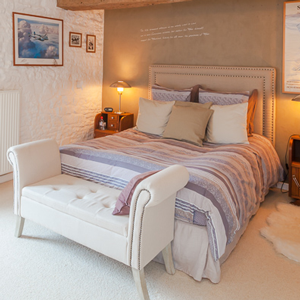 A large, comfortable and quiet double bedroom (22 sqm) with queen-sized brass bed. The room has a small balcony and en-suite shower room overlooking the garden. Victorian roll-top bath and separate shower just across the landing. Courtesy tray inclusing Nespresso coffee machine. all dedicated – but not exclusively - to WWII. 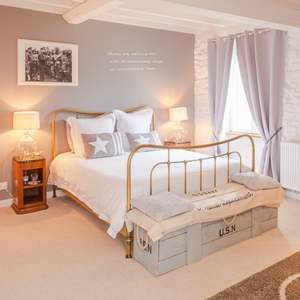 The Commandant Saint Exupery and General D. Eisenhower rooms can be adjoined to form a private suite.